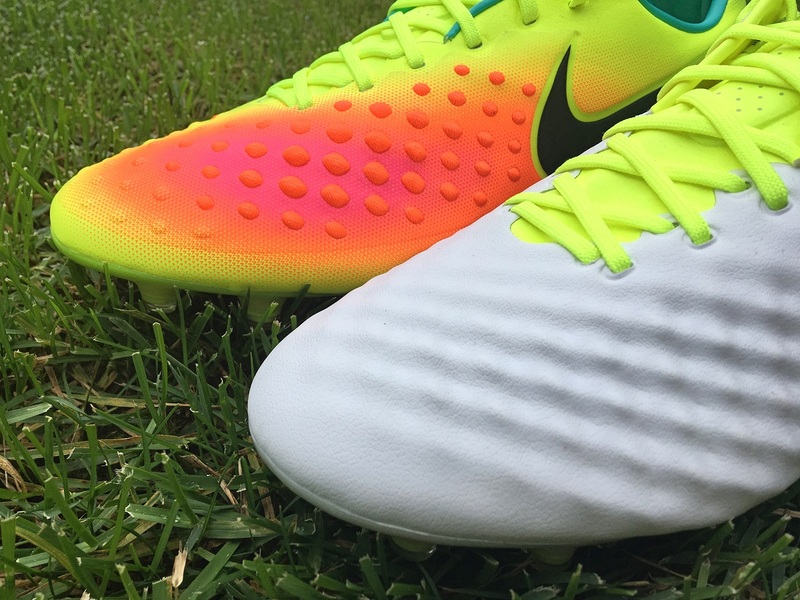 If there was a boot in the Nike series that needed a serious face lift, it was the heat map labelled Magista Opus. You might recall how Nike basically turned the forefoot of the second generation Opus into the face of an oily teenage boy. As much as that sounded like a good idea, it really wasn’t. In fact, the pattern came out of the blue, not really conforming with what you would expect from a top tier Nike shoe. And sales really waned. Then came the latest version, with the swoosh taking a 360 degree approach by keeping things a little more simple. 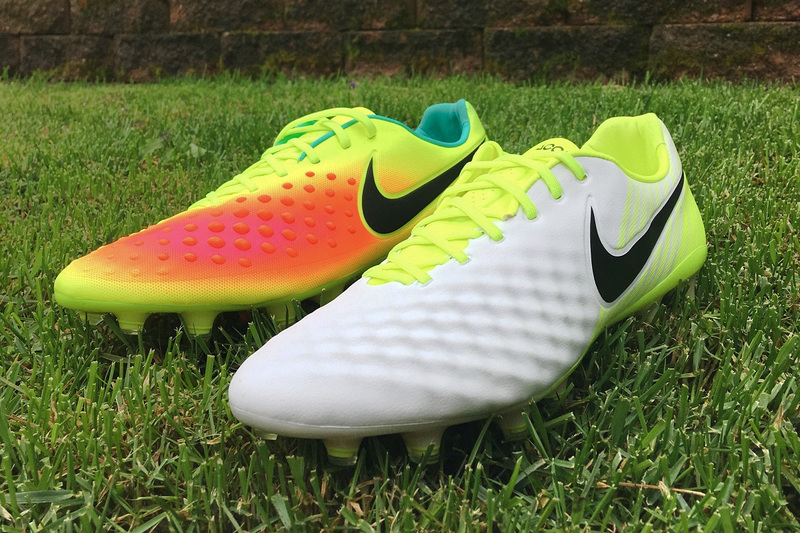 Out is the funky dimple pattern, and in is a texture that resembles the elite tier Magista Obra. The upper is still Kangalite, but it now features a wave style pattern that looks a lot more like what is found on the Obra. It isn’t identical, but visually they are difficult to differentiate. You can rejoice in the fact that you won’t have to relive those troubled youth years with your boots! 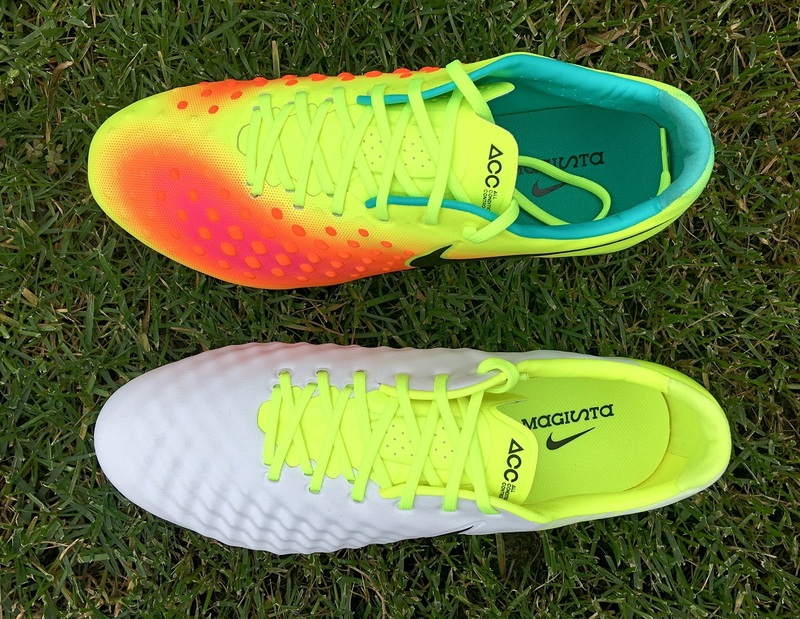 See all the latest Magista Opus II and Magista Opus III releases at soccer.com. Performance wise, there wasn’t a great deal wrong with the second generation Opus. It just didn’t provide that wow factor that players expected. The dimples were hollow through the forefoot, so they actually collapsed as you came in contact with the ball, offering a dampening feel. Touch was clean and because of the position of the dimples, you could get a little extra spin as the ball came of the surface of the boot. Switch to the third generation, and oddly enough, things are not that different. Yes, the actual pattern is drastically improved, but the general layout is similar. Now you have a pattern that ridges across the upper, with different levels of thickness in relevant areas. You still get a dampening feel on the ball, with the only real difference being that the entire one[piece upper has a much more natural rhythm. What about the other important parts of the boot? Everything is identical; this includes the lacing, heel and ankle cut, underfoot traction, and overall weight (6.8oz). So in summary, the biggest change with the latest version is the updated upper pattern. It does differ somewhat from the second generation in terms of feel on the ball, ever so slightly. 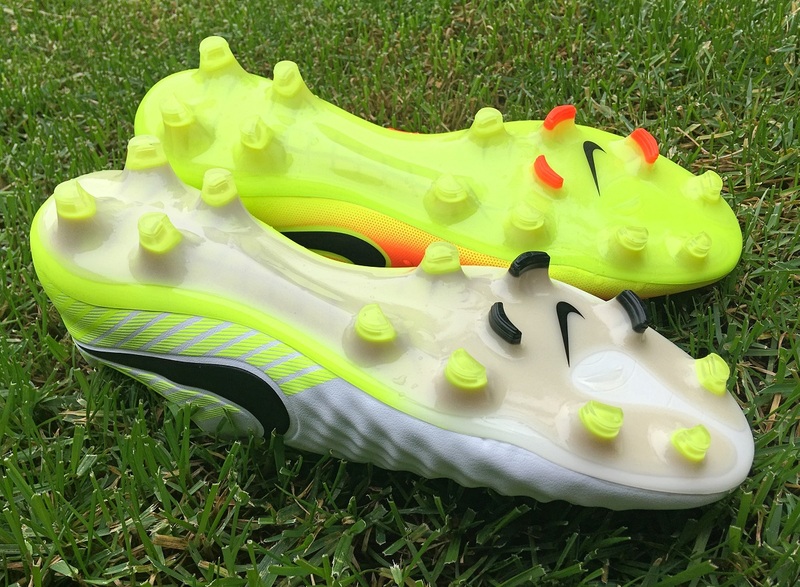 But Nike are not looking to restructure the type of performance the Opus range has on offer, instead they are looking to reformulate the visuals and making the boot more aesthetically pleasing to consumers. I, for one, am definitely in favor of the change-up! 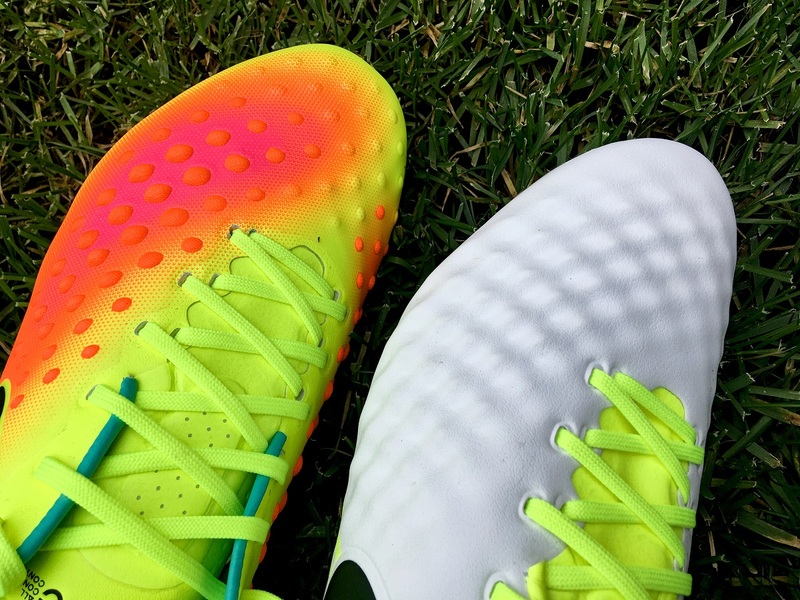 Find all the latest Magista Opus colorways available at soccer.com.